I’m not a betting man, at least not here in Massachusetts, which in just a few years will roll the dice as one of the newest states to gamble on legalized casinos. With visions of a bountiful jackpot for the state budget, the governor and legislature are going all in and betting that Bay Staters will morph into Bet Staters. Not me—I don’t like the odds. The house always win. No bets for me. Yet I confess I do gamble. It’s not on cards or craps or the horses. No: my gambling happens in the stock market, which in many ways is the biggest collective bet of all. The stock market, stock markets actually, all around the world: New York, London, Tokyo, Moscow, Beijing, etc. According to the website seekingalpha.com, the total market value of all these stocks is $48 trillion, give or take a few trillion, on any given day. That’s $48,000,000,000,000: lots of zeros in that number. 24/7, all year round, some place, some where, traders buy and sell stocks in hundreds of thousands of businesses. They “bet” on behalf of institutional and individual customers, like you and I, that a stock will rise or fall in the hope is that their gamble will pay big money. We all gamble on Wall Street. If you’ve got a 401K or a traditional pension you are a part of the bets placed everyday. If you’ve got a savings account at the local bank or an equity account at Fidelity or the like, you are playing the odds. If you own a house with a mortgage some institution somewhere which holds that paper may be reselling that debt to someone else and seeking to turn a buck in the process. When markets go up it is all good. The economy hums. Stockholders and financial companies make money. Capitol is available for new business ventures, new equipment and new hires. And we little investors get to go along for the ride and celebrate as our nest egg increases. But when the markets tank, when the ticker plummets, when a bet is wrong and billions are lost, then we remember it is all finally a gamble. A bet. Just ask Jamie Dimon or Mark Zuckeberg, two CEOs who in the past weeks learned how unpredictable markets are, impossible to call a sure bet. Dimon is CEO of JPMorgan Chase, the largest bank by deposits in the United States. His firm lost $2 billion dollars in risky derivative bets made out of the bank’s London office this month. CNNMoney reports the actual loss may be closer to $6 billion. Dimon has publically and profusely apologized for the loss, let go the errant trader, and reassured anyone who would listen that the bank has, “a fortress balance sheet” and has learned its lesson. At the same time JPMorgan Chase’s stock price dropped by up to 20 percent, meaning a loss for its shareholders of another $30 billion in value. Talk about a bad bet. Then there’s Zuckeberg, founder of Facebook, the social media giant that last week rolled out the third largest initial public offering of stock ever. The good news? At $37 per share, Facebook raised more than $16 billion which made Zuckeberg and several other investors millionaires and even billionaires. The bad news? The stock, which was supposed to soar upwards according to “conventional wisdom” instead sunk by as much as 19 percent in the days after the IPO. Rolled the dice but all that came up was snake eyes. When it comes to the gamble of the markets, all bets are off. For a bet is just that, a bet. It would not be a bet unless there was a real chance of losing. This rule applies in a backroom poker game and on the trading floor, in fact in all of life. There are finally few things which qualify as a sure thing or money in the bank. Not that we humans don’t try to find our ace in the hole. We bet that wealth will make us happy and find out money cannot buy contentedness. It’s not for sale at any price. We seek the comfort of possessions and discover these things are but a fool’s gold, and eventually rust and fall apart. We double down on substances that numb us for awhile but in the morning leave us empty. We wager that busyness is the ticket to fulfillment and learn that a full calendar does not equal a full heart. It’s natural to seek a sure bet, but perhaps we’re looking for a spiritual payoff in all the wrong places. Think: if you had to go “all in”, bet the house, your life on just one thing, on a power, a truth, a reality, who or what might that be? For folks of faith the answer is simple and two fold: God and love. God, the Higher Power, the Universe, the Force, which holds it all together. Love, the one human bet that always wins, always makes the world a better place, always makes this life worth it and filled with purpose, and always comes back to us, doubled, even tripled in value. So these days the markets may be undependable and fickle. 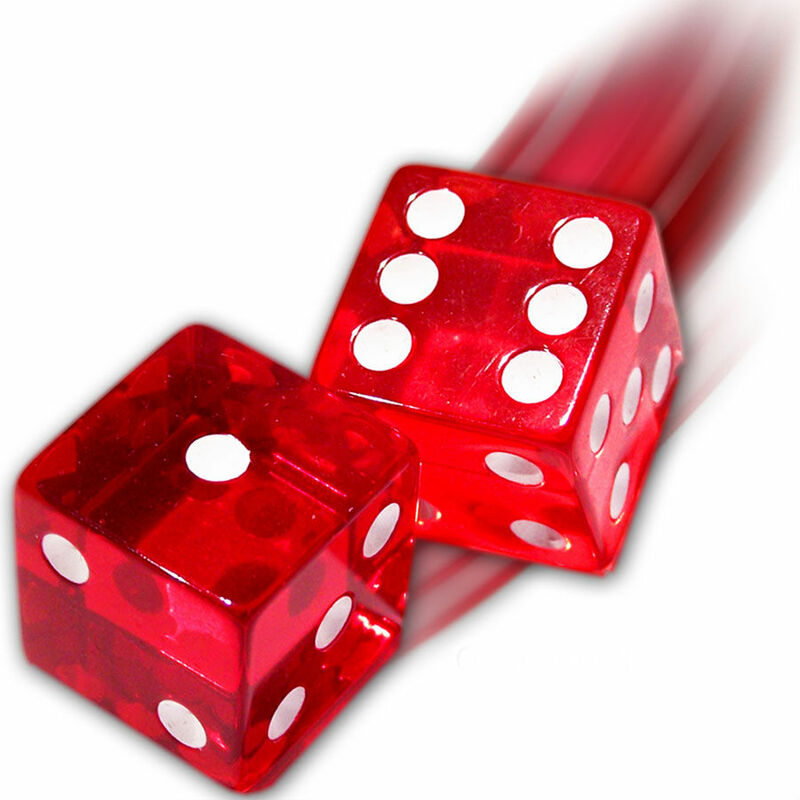 The dice of life are thrown and fall randomly. But there’s one bet that beats the house consistently. As Albert Einstein said, “God doesn't play dice with the world." That’s how I’m betting. How about you? Bill Russell versus Kim Kardashian? No Contest. Hero (noun) 1. A [person] of distinguished courage or ability, admired for brave deeds and noble qualities. Celebrity (noun) 1. a famous or well-known person; fame; renown. A new statue will grace Boston’s City Hall Plaza in 2013, one of Bill Russell, perhaps the greatest Celtic player and greatest professional basketball player of all time. His career stats are unprecedented. 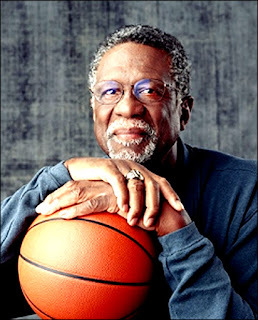 He played on eleven NBA championship teams in thirteen years, including eight in a row from 1959-66. First player with fifty rebounds in a game. Played on two NCAA championships teams and one gold medal Olympic team. Inducted into the Hall of Fame in 1975. First African-American NBA head coach. Five time Most Valuable Player, 12 times an All Star. You’d assume Russell’s statue would capture the man decked out in Celtic green, his body stretching impossibly high up to block a shot, all muscle, height and power. Show the star that was Russell, right? The celebrity, the athlete extraordinaire? But instead the proposed design for the statue is anything but star struck. Instead picture a circular plaza framed by three benches, a Celtic shamrock outlined among the red bricks. One bench features career stats and a quote from Russell: “There is no such thing as someone else’s child.” In the center is Russell, dressed in civilian clothes, his hand on the shoulder of a youth, perhaps listening to them or teaching, certainly caring. On another bench sits a second youth, alone, waiting for someone else to care about them too, a coach, teacher, minister or peer. Makes sense to portray Russell thus, because while he was a great player on the court, someone for fans to cheer, whose star power sold so many tickets, more important, he was a hero off the parquet. A hero: someone who used his fame to further causes so much greater than himself or any mere game. He fought against racism which in the 1950’s and ‘60’s in Boston and America was very nasty. He marched for civil rights with The Reverend Doctor Martin Luther King Jr. when to do so garnered few accolades. He spoke out as an African-American leader and once declared of his work as a trailblazing coach: “What's more important than who's going to be the first black manager is who's going to be the first black sports editor of the New York Times.” In 2011 President Barack Obama awarded him the Presidential Medal of Freedom, the highest civilian honor in America. Now in the last years of his life he’s committed, through The Bill Russell Mentoring Grant Program, to make sure kids in Boston have adult mentors in their lives, so young people of all races can become the truly great men and women they were created by God to be. Hence the statue: not portraying sassy slam dunks or self-righteous pumping fists or hot dogging high fives, which passes for the NBA “stars” of today. No to this NBA legend, his life is now about community service and the girls and boys who need adult kindness and direction to blossom. Our world could use more heroes like Russell, and fewer “stars”, and not just on the field of play but in the rest of our culture too. America has become a star obsessed land. We’ve been “American Idolized” and are transfixed by our celebrities, these self-promoting, narcissistic, preening prim Donnas who vie incessantly for our attention. The top ten folks followed on Twitter? Almost all lightweight celebs, more famous for scandal and frothy music than any kind of heroic lives: Justin Bieber, Kim Kardashian, Britney Spears, Shakira. Each boasts more than fourteen million followers. The largest selling weekly magazine in the United States? People. The TV landscape is littered with shows all vying to out celeb and out weird each other: “Real Housewives”, “Wife Swappers”, “Celebrity Rehab”—you get the picture. Even the Presidential election feels creepily star-crossed as substantive issues take a back seat to splashy attack ads and spin and image. I think I get why some folks love the whole celebrity vibe. There’s nothing at stake in loving to watch celebrities crash and burn so publically. Nations will not topple nor do worlds stop turning when Justin Bieber tweets he once had a beer or Britney talks about her latest stint in rehab. It’s all in “fun” I guess, right? It’s distracting. It makes for good copy, great video. It allows escape from our own not so famous or infamous lives. It’s entertainment. But me, I’ll take a real life flesh and blood hero like Bill Russell any day. He wasn’t perfect. He had a very conflicted relationship with the fans and media while he played here. But he was and is something no celebrity will ever be: human and real. Not a puffed up press release but a person. Not an icon but a neighbor. Passionate about both his play on the court and his life as a citizen, Russell is one “star” working to make Boston a better place to live. Russell reminds us we can and must do better for one another, in as simple an act as mentoring a child. Now if only America might take all the energy and dollars and attention we slavishly devote to “stars” and instead put some of that star power towards honoring heroes who seek the common good. For there are celebrities and then there are heroes. I’ll follow a hero every time. Found in all 50 states, the Girl Scouts of America (GSA) welcomes girls of all races, religions and backgrounds and boasts 2.3 million girl members and 890,000 adult members. 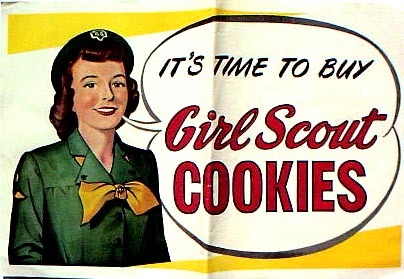 Most well known for those darn tasty cookies, their work is actually much more substantial: to teach girls leadership skills in the hope of helping them grow into better citizens, better neighbors, and better family members, all in service to others. Who could be against them? Well, the largest Christian church in America, that’s who, at least a handful of its national leaders. According to a recent Associated Press story, that church’s bishops have launched an official inquiry into the Scouts' "possible problematic relationships with other organizations and various problematic program materials.” According to The Huffington Post, the concern is that “...the Scouts associate with other groups espousing stances that conflict with church teaching.” Huh? Now I’m not going to try and parse what is seemingly so “offensive” about the Girl Scouts in the view of my fellow folks of faith. People of faith in the United States come in all shapes and sizes. Like Girl Scout Cookies, faith in God in the United States boasts a flavor for every theological and social taste, from ultra conservative to uber liberal. America is still one of the most religious nations on earth. That’s good, at least most of the time. But as a person of faith I just want the wider culture to know faith isn’t always about just being against something, counter, critical, castigating, as in this critique of the Girl Scouts. Or gay marriage. Or any number of hot button issues churning in the culture wars that so wrack our public discourse these days. Name an issue, any issue and guaranteed, some one will drag out God and faith and then declare how this same God is against, against, against, against. Newsflash. Some people of faith are actually for some things, in favor of things, lots of good things actually, many noble and true and great ideas and ideals. Like love, peace, compassion, mercy, hope, generosity and community. Like watching out for the powerless: the poor, the widow, the orphan, and the stranger. Or fully supporting wonderful groups like the Girl Scouts. You’d never know this by watching the news, reading the newspaper, surfing the web or perusing a Facebook page. Media and social media often seem to only embrace and showcase the “against” God folks. In fact the press seems incapable of portraying faith in God as anything but cartoonish, freakish, forever handing the microphone to the most radical and mean spirited, even crazy, of so called “religious” folk. Like the Florida “pastor” who burned the Koran in public. Or a North Carolina “pastor” who advocated from the pulpit beating “gayness” out of kids. Yes he actually said that, and then his hateful and stupid words went viral and were all the rage on the Internet just weeks ago. But not all who follow God are so against. Jesus was once asked to name the most important law in all of scripture, one moral declaration which sums up what it means to have faith in God. Tough question considering that the holy texts he followed contained some 613 commandments, many of them prohibitions, “againsts”. His answer was simple and elegant: “You shall love the Lord your God with all your heart, with all your soul and with all your mind and you shall love your neighbor as yourself.” Love God. Love neighbor. Love self. This beautiful ethical notion can be found in every major world religion, and here’s the kicker. It is not negative, but positive. It seeks to build up not tear down. It doesn’t say “NO!” but instead declares “YES!” Maybe this is what it finally might mean both to have faith in God and to do faith with God. So here’s my enthusiastic faith based shout out to the Girl Scouts! Good job! Keep it up for another hundred years. I’m all for the great things you do and how you make our world such a much better place. Thank you. I feel sorry for Mitt Romney, Barack Obama too. In the next six months these two men will compete for the Presidency of the United States, perhaps the most powerful job in the world. With the push of a button a President can start a nuclear war. With the right speech he can rally a country. With the stroke of a pen as she signs a law she can change millions of lives. A great President can lead the secular salvation of a nation. Think FDR or Lincoln. But in 2012 there is one thing both candidates for Commander in Chief seem powerless, or unwilling, or both, to do. That is to be real. Be really real. Be themselves. Go off script. Be true to whom, at their core, they finally are and embody what they believe in and what they truly hold dear. Tell the truth. Be the truth. Be authentic. That’s why Romney gets my sympathy. Candidate Romney often comes across as uncomfortable in his own skin, awkward, even desperate to please whatever group of voters he stands before. 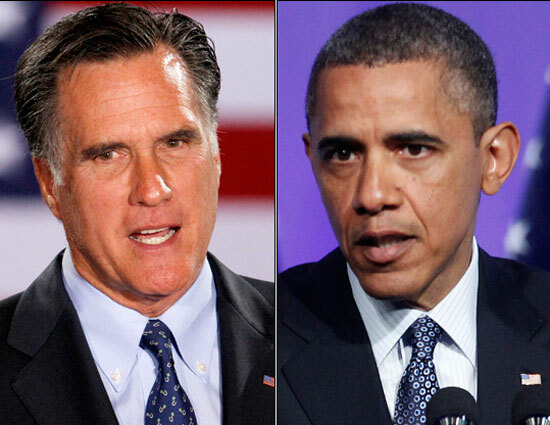 Romney can appear tentative, grasping to figure out just who he is supposed to be at any given moment. Then the press (liberal and conservative) pounds him for being “stiff”. Then his political machine counters that hey, he really, really is a great guy, really, down to earth, real. America just has to get to know him. Romney can’t seem to win this fight. Allow a candidate to be who he or she is and then make a judgment on that basis alone: there’s an idea! To vote for an authentic man or woman: no gloss, no façade, no smoke and mirrors. To expect our leaders to be real. Remember the “beer summit” early on in Obama’s Presidency? This is what it looks like when politicians are forced or choose to be inauthentic, fake, false. An African-American Harvard professor is arrested by a white Cambridge police officer. Obama honestly weighs in. The media explodes and so these three men then have to gather on the back lawn of the White House in shirt sleeves to drink beer together and make nice, all for the cameras. Awkward. So clearly an act. That day I felt pretty bad for the President. What might it look like if voters and the media empowered our Presidential candidates to be authentic? What might happen if we worried less about whether or not a candidate is the kind of person “we’d like to drink a beer with” and demanded instead a candidate who could just do the job and do it well? A President not as image or press release but a flesh and blood person, neither super heroic nor a political anti-Christ, just human. Liberals might then give the President a break and allow him to be the political moderate he finally is. Conservatives might give Romney a break and allow him to be the political pragmatist he finally is. Romney critics might finally accept that Romney is a very wealthy, highly successful businessman, a squeaky clean straight arrow family guy and a committed Mormon. Wearing jeans and rolling up his button down shirts won’t change him. Obama critics might stop beating up on the President for lacking “fire” and accept that Obama is professorial at heart, thoughtful and smart and more committed to crafting attainable solutions than partisan people pleasing or smarmy glad handing. Drinking a beer in the backyard won’t change him. Then maybe these two real people could run a full bore honest debate through to next November about the future of the United States and who is best qualified to lead us. We’d all get to vote for an authentic person to be our next President. No artifice. No media spin. No political machinations or myth-making. I know this hope for presidential candidate authenticity is radically counter to our multi-billion dollar presidential campaigns with spin doctors and image creators scrambling to present their candidate as “real”, and a press talking so much more about appearances and style than real issues. The voters who hope to drink a beer with the President don’t help much either. Could we go any lower in our presidential expectations? The huge problems our nation and world face call not for actors on a stage, but leaders in the real world. 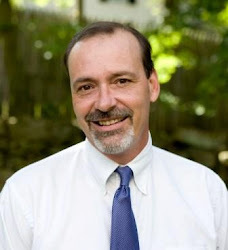 So President Obama and Governor Romney, here is my unsolicited advice to you both as the campaign begins: to thine own self be true.